Residents should be aware that a family pet came in contact with a raccoon that tested positive for rabies. The interaction took place in the vicinity of 404 Branch Drive, Mullica Hill, on March 27. A rabid raccoon was found dead in Williamstown on March 22 and another in Franklinville on March 15. Rabid animals were also found in Washington Township on Jan. 30, Elk Township on Feb. 6, Clayton on March 6, and Pitman on March 9. All pet owners are urged to check the vaccination status of their pets. Avoiding wild animals and keeping your distance from stray dogs and cats. Be aware that raccoons also feed in areas where outside cats are fed. In order to ensure your safety, the Gloucester County Health Department recommends that your pets have their current rabies vaccinations. 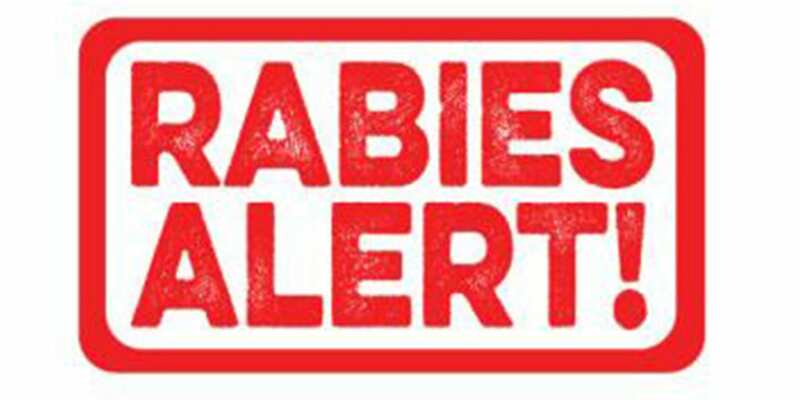 For questions about the Rabies Clinics contact the Gloucester County Department of Health at (856) 218-4101. •ADVISE YOUR CHILDREN NOT TO HANDLE STRAY OR UNFAMILIAR ANIMALS, AS WELL AS WILDLIFE. •IF YOU SEE AN ANIMAL THAT APPEARS DISORIENTED OR EXHIBITS STRANGE BEHAVIOR, DO NOT HANDLE IT. IMMEDIATELY NOTIFY THE GLOUCESTER COUNTY ANIMAL CONTROL OFFICE AT (856) 881-2828.